Mandatory rehearsal for all graduates. 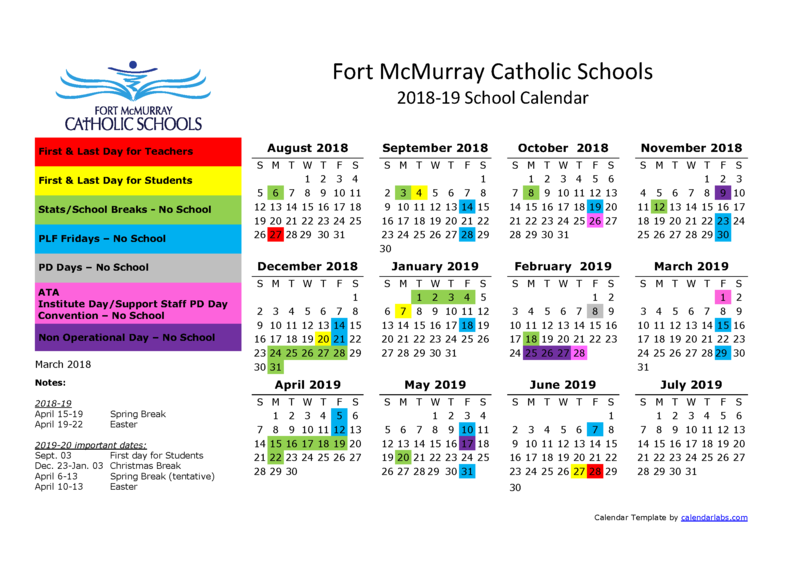 The culmination of our students’ Catholic education journey, this school-wide celebration is a monumental component of graduating from Fort McMurray Catholic Schools. Because the entire student body attends the Mass, families are asked to respect the suggested guest number of 2-4. As well, because our gymnasium becomes a solemn place of worship during this celebration, families are asked to not bring coffees or other drinks and to refrain from moving around to take photos during the event. All graduates are required to participate in the Graduation Mass. This reception, which follows our Graduation Mass, will be a lovely afternoon of refreshments and conversations enjoyed by graduates, their families, and HTCHS faculty and staff. This is our annual awards event where students in grades seven through twelve are presented with arts, athletics, and leadership certificate awards and trophies. Students receiving awards will receive an invitation by phone earlier in the week. This is the cap-and-gown ceremony where students will cross the stage to mark the completion of their high school studies. The event will feature addresses from dignitaries, performances from our graduates, and speeches presented by faculty and graduates. The event aims to end by 12:15 pm. This formal event invites graduates and their guests, who do not have to be fellow graduates, to promenade through the gymnasium. Graduates will also have the opportunity to dance with a special someone (parent, grandparent, etc.). Due to fire code regulations, each graduate will be given FIVE tickets for this event. The graduate and the guest with whom they are walking do not require tickets. Tickets will be distributed at the graduation rehearsal on Wednesday. Parents, you have had a long day! It’s time to go home and put your feet up. HTCHS faculty and staff will supervise the graduates and their guests at the Grad Dance where they will dance the night away to the sounds of DJ Qpid. A mocktail and snack bar will be provided. Please note that the school doors will lock at 9:00 pm and students will not be granted re-entry should they choose to leave. Grad fees help to cover all expenses related to the graduation events (i.e. gown rental, cap purchase, sound/lights, etc.). As well, each graduate will receive a grad hoodie. The cost of a yearbook is not included in the grad fee. Grad fees can be paid with cash, credit, or debit in the main office Monday to Friday from 8:00 am – 4:00 pm, or charge by phone: 780-792-0012. Grad Mass, Commencement, and Promenade will be broadcast live on the web for family/friends who are unable to attend the events. Links to the online stream will be shared on our social media platforms prior to each event. Students are encouraged to have their grad photos taken at Fotosource. A sitting can be arranged by contacting their business directly. For more information, visit their website by clicking here. Fotosource will also provide photography services at Commencement and Prom.